Planes that remain idle for more than a day or two usually need a jumpstart. Sometimes, the jump is needed after only a few hours if the battery isn’t great at holding a charge. Most of the time, airfields bring out a portable power pack and provide a jump to the battery to get the engines to turn over. 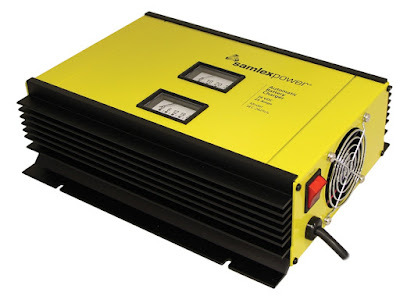 With commercial aircraft, you need more than a 24 volt power supply, though, which significantly boosts power requirements and size of the charging unit. Aircraft that have a TPE 131 engine are big enough to wear the term “air bus”, and most of them have auxiliary systems that go beyond the engines. The in-flight movies, premium wi-fi and other perks we tend to take for granted must all receive power. Sometimes, individual systems are jump started by a low-voltage starter, other times, they draw power from the main battery. These engines usually require the significantly larger 28 volt power supply, which typically has its own pull cart for ground crews to work with. Sometimes, these GPU systems are mounted in the back of a flatbed truck, where they can be driven across the tarmac. You might see that at commercial airstrips, but smaller air fields might have the hand-truck variety. According to StartPac, a leading supplier of GPUs made in America, it all depends on the volume of craft a field will handle in a day. Airfields may see a larger craft land in an emergency, or for a private function, so they need to be prepared to jump those craft.